Practically raised in her father’s newspaper office, Adriane Darcy has ink flowing in her veins. With their paper the leading paper in 1855, she can’t imagine life without the clatter of the printing press and the race to publish the important news first. Life somehow takes a turn for the worse and now Adriane is finding it harder to believe that her future will be anything like she envisioned, but she is willing to sacrifice to help her father get out of debt. If only it didn’t require so much. The Darcy newspaper is threatened even more when the brash young editor, Blake Garrett, takes over a competing newspaper, his controversial new style threatens to steal all of the Tribune’s readership. When Adriane and Blake meet at a benefit, the sparks that fly between them are hard to ignore. However, Blake is the enemy, and Adriane is already engaged to the son of a powerful business and a man she doesn’t love. When Blake stops at nothing to get the story and the girl, will Adriane be able to go through with a marriage she feels is wrong? Will Blake be able to convince her that he is the one she loves before she says ‘I do’ to the wrong man? When I picked up this book to read it I was hoping for a good book, but I wasn’t expecting a lot, as is the way with most historical romances I pick to read. 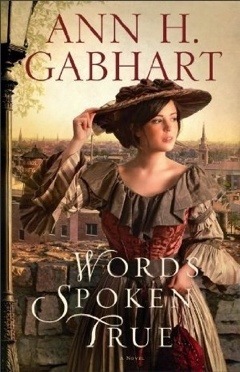 However, Ann H. Gabhart surprised me with a lovely romance story with plenty of conflict and a dash of suspense. It’s all mixed together perfectly and makes a truly enjoyable read. This author made a book that makes you remember it long after you put the book down. The detail and historical accuracies are spot on and make this book so realistic that it’s actually easy to forget that this is a work of fiction and not real. The historical setting with the conflict all combines to make a gripping and realistic story. The suspense in the novel was just a side story and a source of major conflict later in the novel, but for most of the book it’s just a background conflict that you have a feeling will cause trouble later on. Naturally, with enough clues, I guessed the murderer, however, the clues started adding up only after the three-quarter mark. So for most of the book the murderer is a complete and utter mystery. The romance in this book is something hard to explain. The romance starts with a mutual attraction that Adriane is trying hard to deny. For some reason Blake is determined to win her heart and stop her from marrying Stanley. I think it personifies love at first sight. This author made an innocent romance until about halfway through the book. Things start to change at that point with Stanley and Blake. Stanley is showing more and more lust for her and Blake is determined to win her over. This author is very good about passion. She keeps the passion innocent between the main couple until after the wedding. Making the book an example for romance I think that all people should follow. The conflict throughout this book is constant. It never really let’s up and is a constant stress to all characters involved. The conflict, though it is awful, it brings the Adriane and Blake closer together and stronger. The conflict is so bad that it takes up most of the book, not the romance, not that I minded. Ghosts of the past make up nasty conflicts and trouble throughout the book for all characters and it really makes this book an exciting read. Overall, this book is incredibly written and thought out with a great romance and conflict. 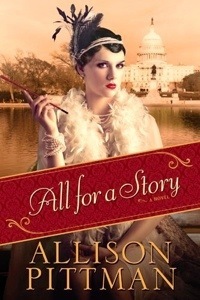 It’s perfect for historical fiction lovers and those that love a good romance. I know I look forward to more books by this author. I give this book a four out of five. I received this complimentary copy of this book specifically for this review. All opinions expressed in this review are my own.